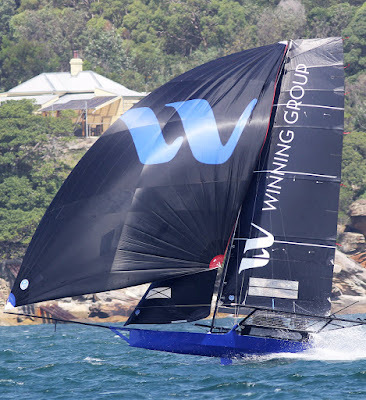 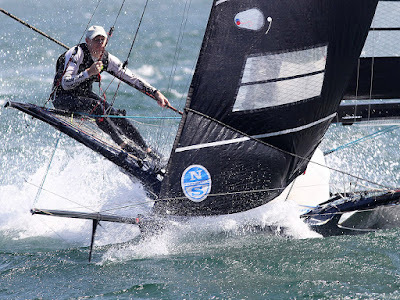 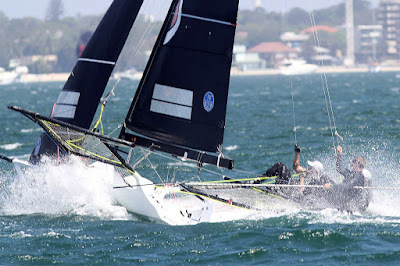 In contrast to the almost non-existant wind which ruined the first day's racing in the Australian 18ft Skiff Championship on Sydney Harbour last Sunday, a southerly wind of more than 25-knots today provided excellent conditions for some fast, action-packed racing on Day Two. 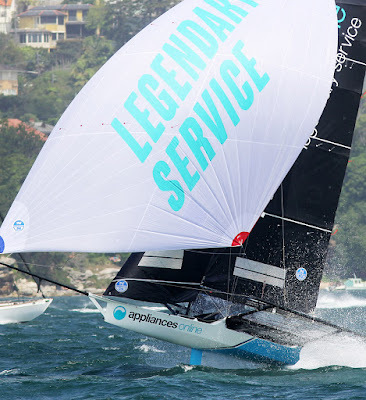 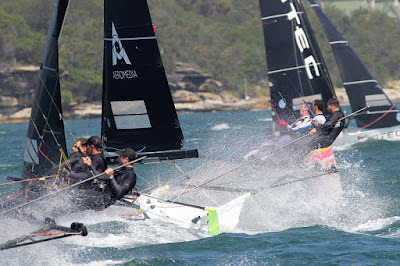 Winds were so strong that every team had problems during the two windward-return races staged in Rose Bay. 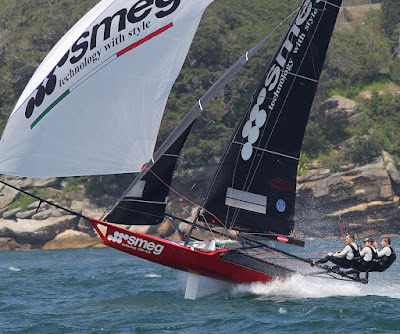 The strong Smeg team of Michael Coxon, Ricky Bridge and Mike McKensey handled the conditions brilliantly while many others around them floundered or capsized. After trailing Bing Lee (Micah Lane) at the windward mark early in the race, Smeg's downwind speed enabled her to grab the lead and the skiff was not headed over the rest of the course. At the end of the three laps, Smeg crossed the finish line one minute 58 seconds ahead of second placed The Oak Double Bay-4 Pines (Aron Everett, Tom Clout, Reece Goldsmith), with Appliancesonline.com.au (Brett Van Munster, Phil Marshall, Kurt Fatouris0 another 35 seconds back in third place. Winning Group (John Winning Jr) was an impressive fourth after recovering from an earlier capsize, followed by Vintec (Kirk Mitchell) and Bing Lee. 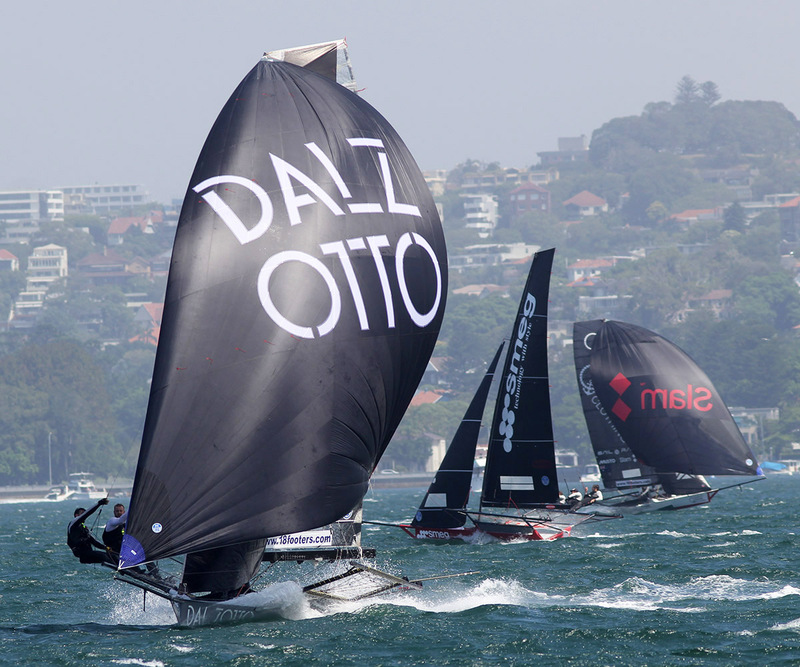 As the battered fleet regrouped for the second race of the day, four of the original 18 starters were missing. 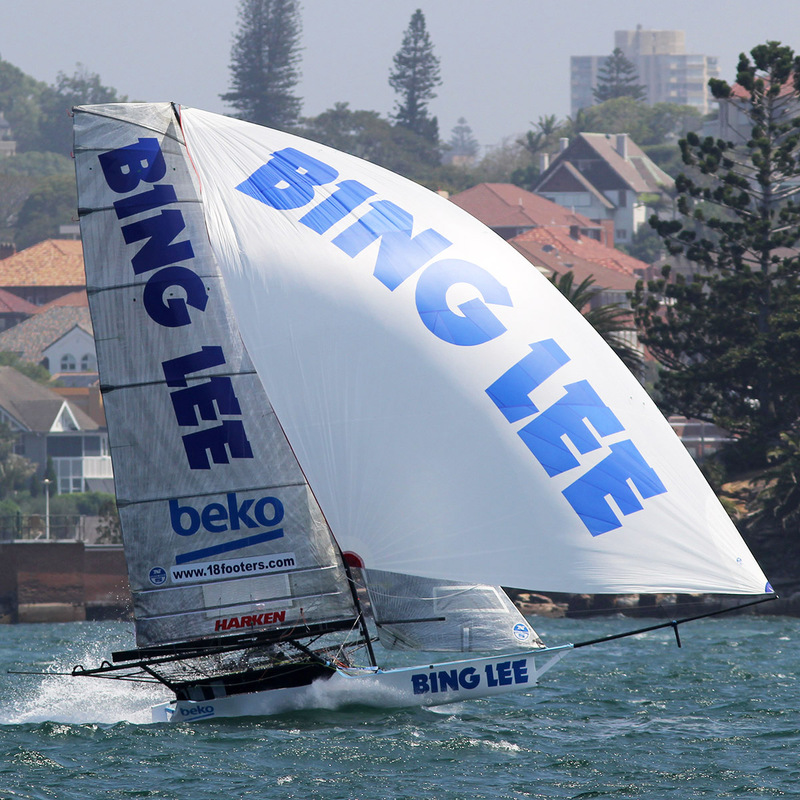 Once again, Bing Lee and Smeg led the fleet to the first windward mark but an unexpected capsize by the Smeg crew left Bing Lee to try and fend off the challenge by the Winning Group skiff. 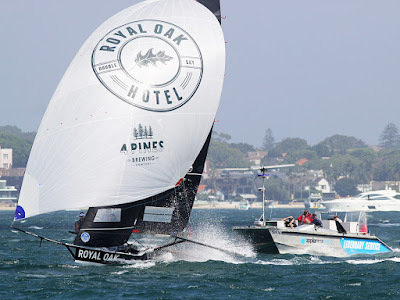 The experience of John Winning Jr., Sam Newton and Seve Jarvin was clearly on display and the Winning Group was soon in front, then led the fleet over the next two laps of the course.With victory in sight the Winning Group's crew prepared for the final gybe only to capsize and leave Micah Lane, Peter Harris and Scott Babbage to take the honours in Bing Lee. 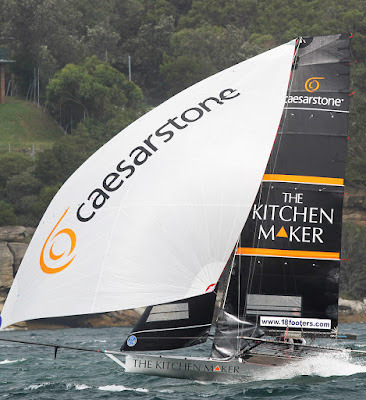 The consistent The Kitchen Maker-Caesarstone (Jordan Girdis, Tom Quigley, Lachlan Doyle) were rewarded for their efforts when the young team finished second, 4m5s behind Bing Lee. Winning Group recovered from their capsize to come home in third place, 35s behing The Kitchen Maker-Caesarstone.